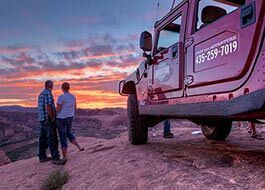 Moab's Only Zipline Tour will take your breath away from the very beginning with a rugged 4x4 climb to the slickrock sandstone cliffs overlooking Moab. 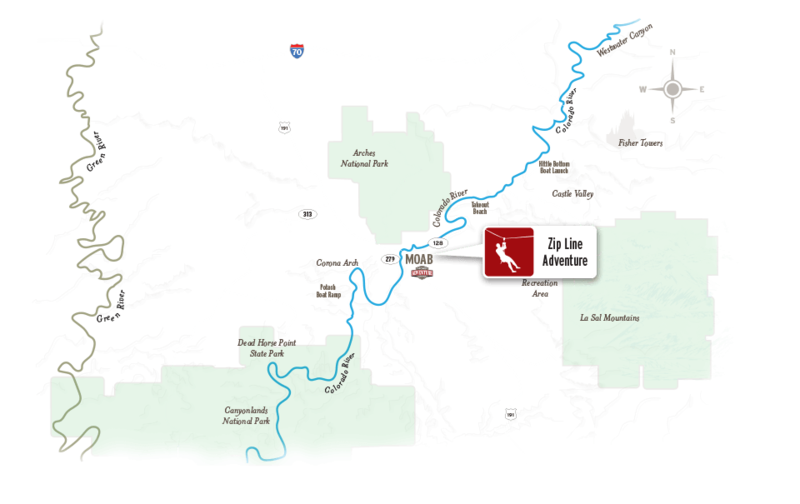 After a brief orientation, you'll zip to the 100-foot suspension bridge spanning a gap between two sandstone fins. Your transformation into a native bird of prey begins as your feet leave the redrock and you take to the sky over each gap below. 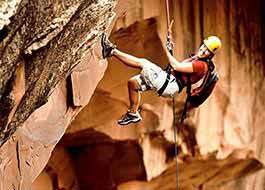 This zip line tour features a series of six steel cables that will suspend your adrenaline for over 2 hours across natural fins, canyons and gaps in the landscape beneath you. The 13,000 foot La Sal Mountains loom in the distance to the south, and the Colorado bends through Moab Valley and into "The Portal" to the west. These iconic vistas are yours from your perch on Raven's Rim. Be sure to bring your camera so you can share this thrilling - and scenic - experience with everyone! Awesome Experience, We All Had a Blast! My wife, son and I were visiting my sister and husband who had just moved to Utah. 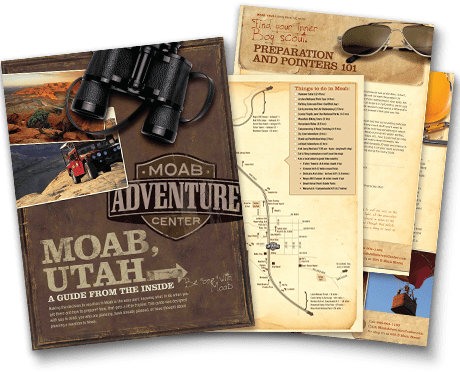 She scheduled the zipline package at the Moab Adventure Center. I cannot praise enough the professionalism and courtesy of Jackie and Mike our guides. The ziplining was awesome, and the jeep ride to get to the zipline was just as fantastic, it was even better than the Pink Jeep tours. Next time we are in Moab, would definitely do again!